When you think of Hawaii you will probably conjure up images of super confident surfers riding 60 foot waves or a sun-kissed Hawaiian in a grass skirt doing the hula under the golden glowing sunset on a serene palm-fringed beach. This glamorous island offers all the beaches and cultural activities you have dreamt of along with much more. Hula is a uniquely Hawaiian dance accompanied by chant or song that preserves and perpetuates the stories, traditions and culture of Hawaii. 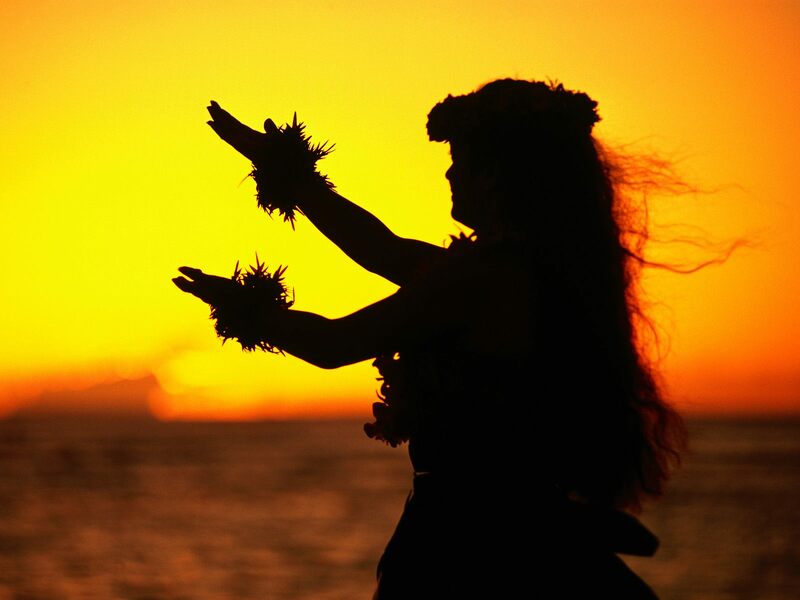 This highly visual dance form involves performers dressing up in traditional costumes of grass skirts – female – or loincloths – male – along with lei decorations such as a wreath of flowers as a necklace, bracelet, anklet or headgear. It is often accompanied by musical instruments such as the ukulele or double bass and has become an enchanting art form and a worldwide symbol of Hawaiian culture. Live performances can be found throughout the islands at seasonal festivals, competitions, hotels and resorts while visitors can also take part with free lessons at places such as the Royal Hawaiian Centre or the Waikiki Beach Walk on Oahu. It is believed that the sport of surfing was invented in Hawaii and it has long been part of Polynesian culture. The more experienced surfer will revel at the chance to tackle the legendary North Shore which is synonymous with big-wave surfing while first time surfers or casual participants may wish to brush up and build confidence on a less challenging but equally enjoyable beach such as Honolua Bay in Waikiki and Waikiki Beach in Oahu. What makes Hawaii better than the rest is its abundance of quality waves that allows surfers to focus on turning, cutbacks, carving, cross-stepping, nose-riding while getting their bearings before tackling some of the largest waves known to man. There are over 100 great tourist beaches in Hawaii with each island boasting at least one contender for the best beach in the world. While some beaches are renowned for their surfing and others for their snorkelling, as you can imagine, with this great diversity each location has its own unique selling point. Learn how to relax with a visit to Lanikai Beach and luxuriate in its clear waters, spotless beach, and catch some shade underneath the swaying coconut palms. A mile-long stretch of powdered white sand completes this photographers dream whilst at the same time making it the perfect destination for sunbathing or taking a pleasant stroll. You are almost always within sight of a volcano in Hawaii making it an excellent destination for exploring the environment through National Parks. The Big Island’s Hawaii Volcanoes National Park is home to the most active volcano in the world and encompasses 333,000 acres from the summit of Maunaloa to the sea. The excitement can be somewhat overwhelming when visiting the famous Mt. Kilauea on the Big Island. In March 2012, lava from Kilauea completed the destruction of the Royal Gardens subdivision by burning the last remaining home there, and in the following month the United States Geological Survey placed it under ‘Watch’ status on the Volcanic-Alert Level. A visit to Pearl Harbour is a somewhat solemn and sobering experience. It is now a little over 70 years since the Japanese launched a surprise attack on this historic naval base but its impact is still very much apparent. At the Pearl Harbour Visitor Centre you can watch a film about the attack, before catching a boat to visit the USS Arizona Memorial – built over the sunken hull of the battleship – where you can pay your respects to the 1000+ lives that were lost. Majestic volcanoes, palm fringed beaches, tropical rainforest, diving, surfing, hiking, music, festivals and cultural events… All this and more awaits.